I’ve been ignoring my blog. This happens. As much as I love to write, I become entrenched in my daily life, ignore the tugs of the blank page, and take to filling my days with teaching, acting and reading soul-stirring writing. Well, I’m back, for a moment, to check in and connect with my own writer’s soul. 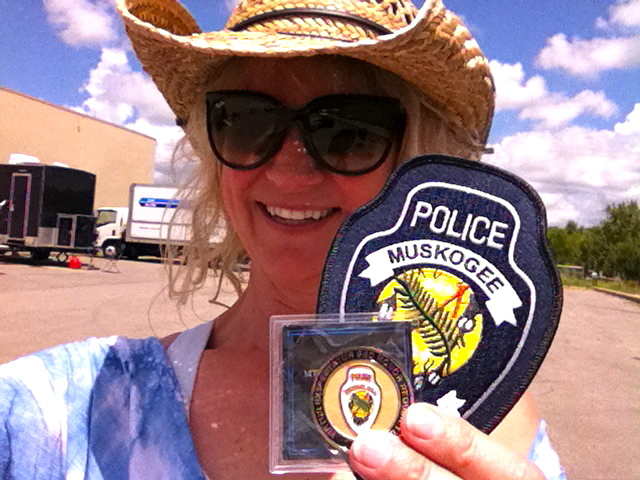 Making friends with the Muskogee police that are dealing with the security on the film shoot.